I've been absent from my blog as of late. However, I'm still here and busy with life. Here are the projects we made this month at my stamp club and classes. 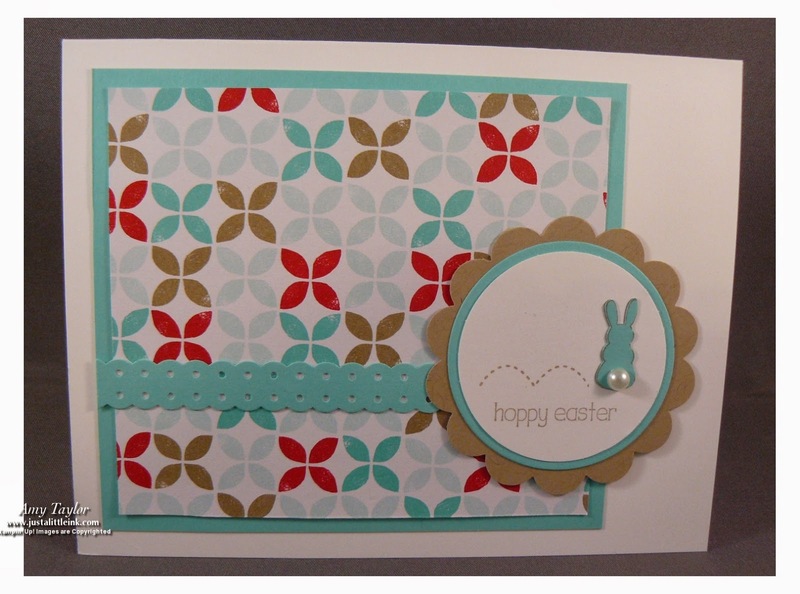 They are all Easter themed projects using the stamp set Eggstra Spectacular. 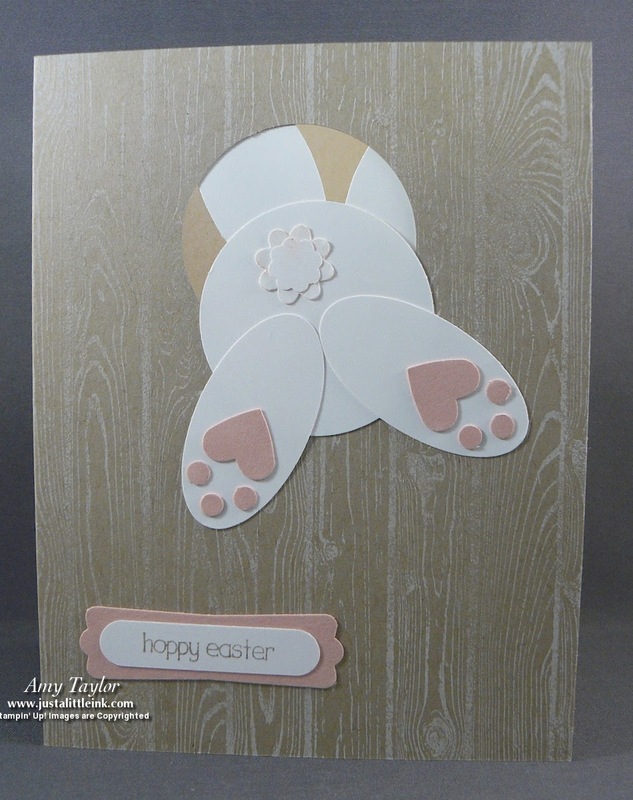 This first card was cased from Mary Fish, and you can find her card if you click on her name. This adorable treat holder uses the Scalloped Tag Topper punch and holds 2 Hershey Nuggets. The idea was cased from Lorri Heiling. You can see her treat holder by clicking on her name. This last card was one I've wanted to make for awhile now. I took ideas from many different demonstrators. 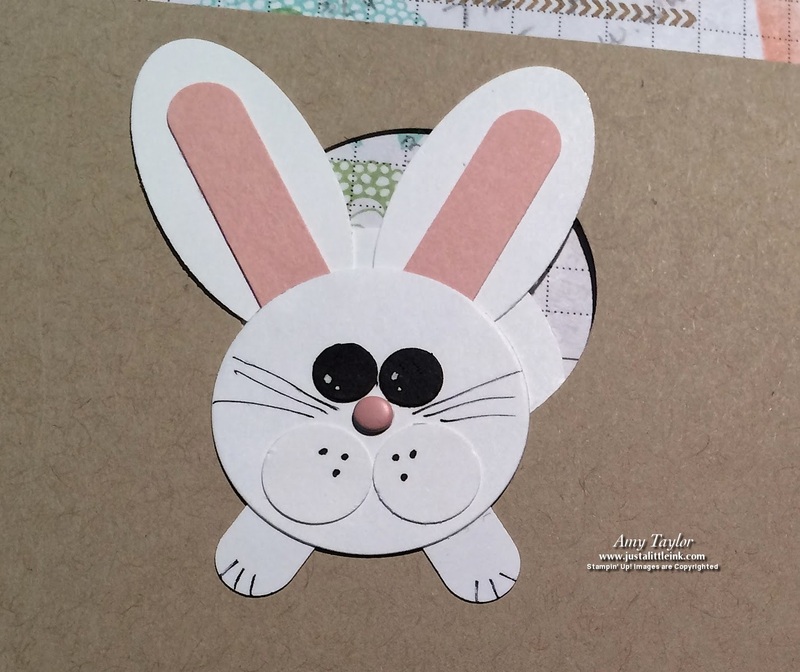 My friend Kathy Howes inspired me to add a face to the inside of the card. Thanks, Kathy. It was a wonderful suprise for my customers! Don't miss out on your chance to get free products during Sale-a-Bration! It all ends March 31st!